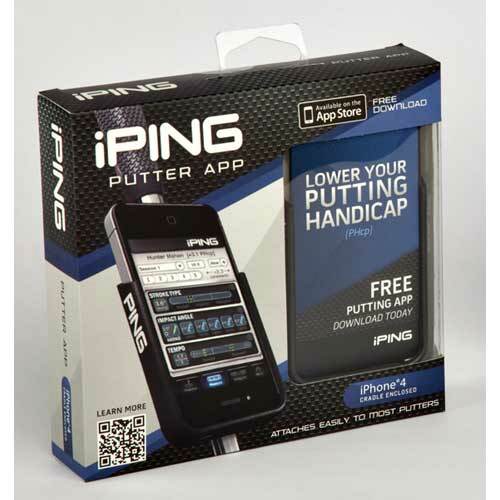 The Ping Putting Cradle for iPhone 4 holds an iPhone 4 and attaches to most putters so the iPing App can enable your iPhone 4 to analyze your impact angle in order to improve putting mechanics. The App also classifies your stroke type to help match you to the proper putter model for more consistency, measures the tempo of your stroke to improve control and compares your stroke with Tour pros and friends. 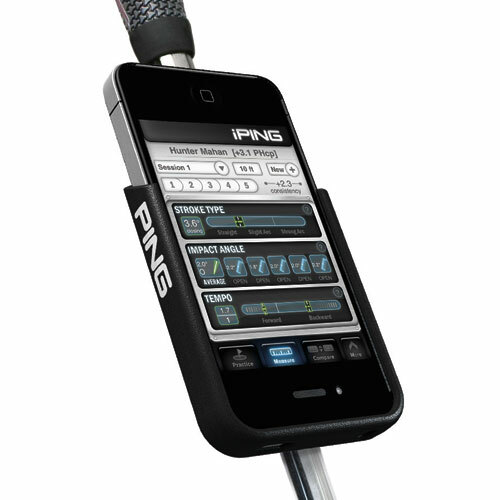 The Ping Cradle, when used with the free iPing Putter App, turns your iPhone 4 into a personal putting coach. Developed by PING's engineers for all skill levels, the iPING putter app calculates and tracks your Putting Handicap™ (PHcp) to help improve your putting. All you need is the PING cradle and an iPhone 4 or iPod Touch (4th Gen) - the App is FREE. Practice and improve at your favorite golf course, at home, or on the road. Every session provides immediate results - leading to more consistency in your stroke.